The Ultimate Christmas Gift for the Landscape Photographer who has Everything! Christmas comes but once a year but new cameras come at a rate of knots it seems. Most cameras garner a little interest from the landscape photographer before they return to the Canikon 5D800 and continue producing work. However, now and again a camera comes by that has people thinking they could possibly upgrade or at least add another prize to their camera shelf. The D800 is a great example and possibly the more compact cameras like the X-Pro and Nex series. Sony’s A7R must win the prize for the most interesting camera of the year though with a new full frame camera that returns to old school SLR camera sizes - not far away from the old Olympus OM1 or Pentax ME Super. Although we don’t do many camera reviews, we do make exceptions when we think there is something that will be of great interest and as such we have two reviews of the Sony A7R from our regular team, Andrew Nadolski and David Tolcher. They’ve been using the cameras regularly since it was first available in the country. 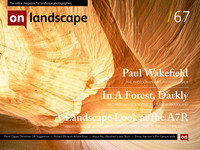 We also have an exclusive interview with one of UK landscape photography’s first colour practitioners. Working from the late 70s, Paul Wakefield produced four books of landscape photography in association with writer Jan Morris and in the process influenced more well known photographers such as Joe Cornish, David Ward and Charlie Waite. He has never really been a self promoter and his landscape work is essentially personal but with the release of a new book in February came an opportunity for an in depth interview and we spent a day in his company at his Brixton home. We have also been spending time in the company of German photographer Michael Lange - the Prince of Darkness (if you wanted to pull a Daily Mirroresque sub header). 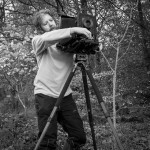 Michael published a book of forest photography, Wald, which has had great success in Germany and we had a chance to chat with Michael on a couple of occasions to ask about his approach and future projects. 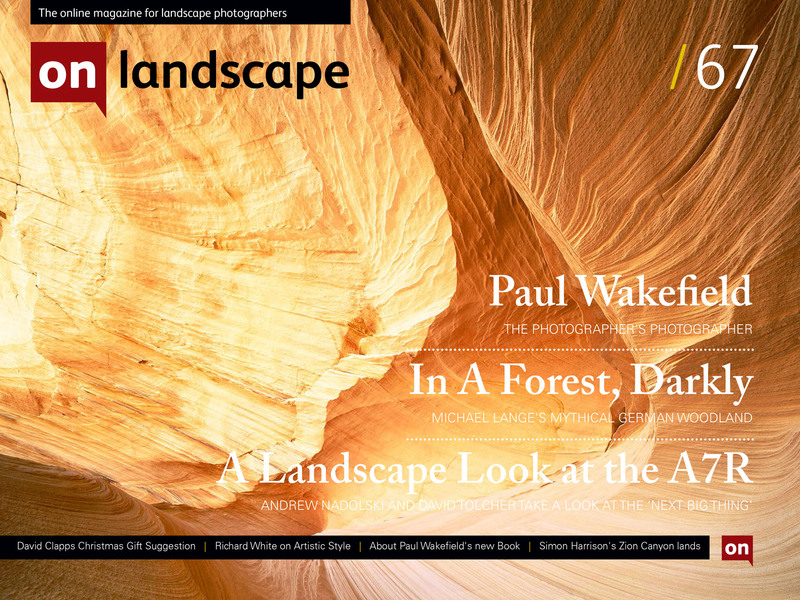 Also in this issue we have an article on the ultimate landscape photography accessory from David Clapp (you’ll be surprised), a look at Zion Canyon from Simon Harrison and an article on artistic style from Australian contributor Richard White. So have a great christmas and I hope you have a chance to capture some seasonal images.